Fabinho insists he has no plans to leave Liverpool following speculation linking him to an early Anfield exit. The midfielder has been the subject of rather tenuous rumours hinting at a swift departure in light of his limited playing time since arriving from Monaco in the summer. 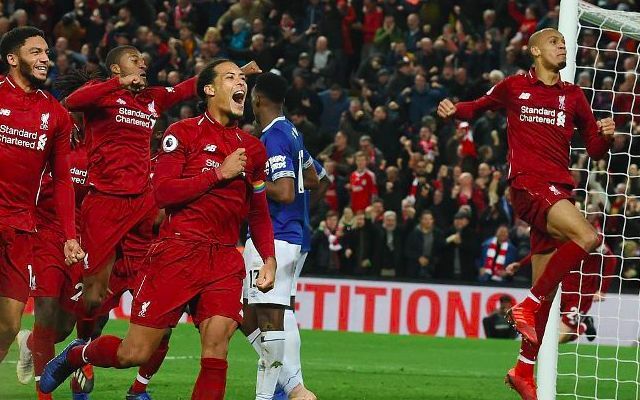 Doubts over his future at the club have stemmed from a stuttering start to life on Merseyside that saw him unused in each of the Reds’ opening eight Premier League games of the season. Jurgen Klopp has been keen to ease the Brazilian into a significant change in system and intensity, just as he did with Alex Oxlade-Chamberlain last year. The 25-year-old himself has now played down talk of a move after being touted as a target for the likes of Paris Saint-Germain and AC Milan. Wife Rebeca Tavares has also been quick to rubbish such claims on social media amid her rise as a popular figure among Reds. Fabinho made his sixth start for Liverpool in Sunday’s Merseyside derby win, recording a game-high six tackles and covering more distance than of his teammates. The onus is now on him to earn an extended run in the side and become a trusted starter as Klopp prepares to rotate his lineup throughout a gruelling festive period.